A young boy must become the greatest cricket warrior of all time in order to save his family in this stirring folktale about bravery and sacrifice. 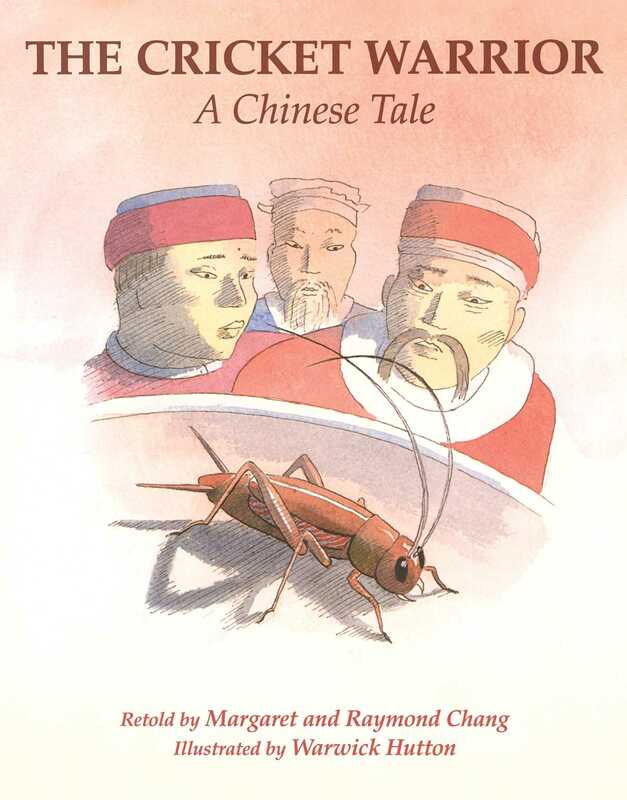 This retelling of the Chinese folktale, “The Fighting Cricket,” first recorded in the seventeenth century, is a tale of extraordinary bravery, sacrifice, and familial devotion. Young Wei nian’s family is in trouble. Their farm has been fruitless for three years and their only hope of keeping it is to find a cricket for the emperor’s cricket fights. When Wei nian accidentally loses the cricket that they capture he is devastated, but an old man offers him a choice. Will Wei nian become the greatest cricket warrior of all to save his family? And if he does, will he ever find his way home again? Margaret Chang, a former children’s librarian, holds an MA in children’s literature and for seventeen years taught graduate and undergraduate courses in children’s literature at Massachusetts College of Liberal Arts. She and Raymond have published an introduction to the Chinese language, as well as four children’s books set in China, among them Cricket Warrior. Her most recent book for children is Celia’s Robot. She and Raymond now live on Bainbridge Island, Washington. Raymond Chang was born in Hong Kong, moved to Shanghai when he was very young, and lived in Shanghai during the 1940s, from the Japanese occupation through the Communist regime. He later graduated from the University of London in chemistry and earned a PhD from Yale University. He taught chemistry at Williams College in Williamstown, Massachusetts. Warwick Hutton had a strong conviction that pictures for children should have depth and distance, space and mood. His own books—Noah and the Great Flood, The Sleeping Beauty, The Nose Tree, Jonah and the Great Fish, Beauty and the Beast, Moses in the Bulrushes, and The Cricket Warrior—demonstrate that conviction. He resided in Cambridge, England.